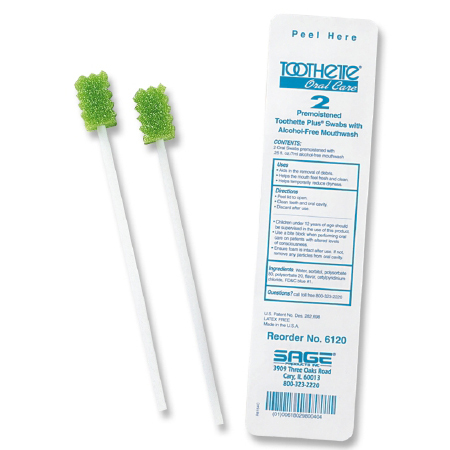 Sage Toothette Plus Oral Care Swabs comes with Alcohol-Free Mouthwash. Clean teeth and gently stimulate oral tissues with our swabs. The ridges on the swab help you clean between teeth while our antiseptic oral rinse cleans and refreshes the entire oral cavity. Our Toothette Plus swabs have a slightly longer stick that makes it easier to clean teeth in the back of the mouth.